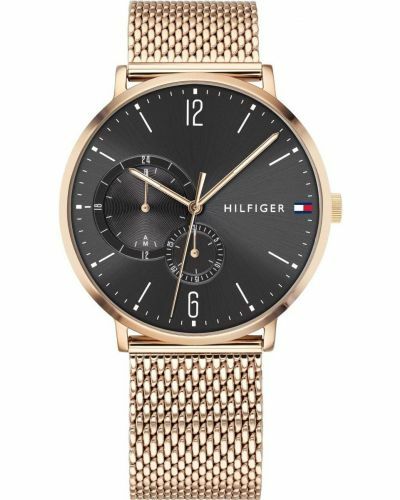 This striking men's watch is brought to you by renowned fashion designer Tommy Hilifiger as part of their Brooklyn collection and features a 40mm gold plated case and bezel. Housed beneath protective mineral glass is the alluring deep blue sunray dial complete with date sub-dial and a 24 hour clock. The Brooklyn watch is set upon a milanese style stainless steel strap and fastens with a secure hook clasp. 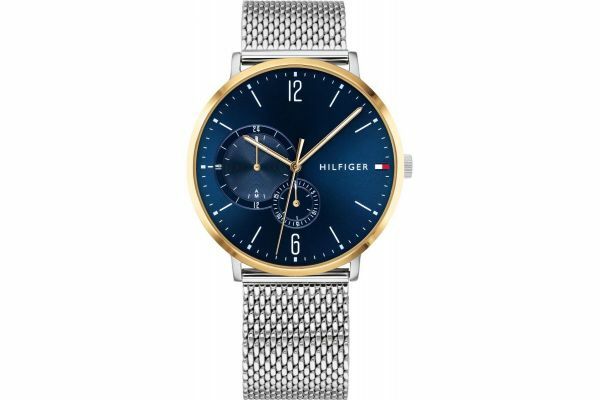 Powered by Quartz movement and water resistant up to 30 meters, this watch comes complete with a two year guarantee and official Tommy Hilfiger packaging. 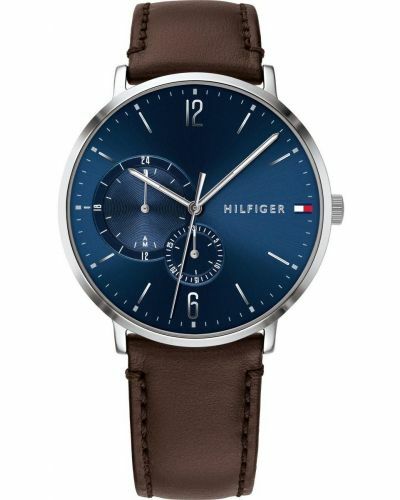 For us to size your new Tommy Hilfiger Brooklyn watch as accurately as possible, please take a look at our downloadable Watch Sizing Guide.